My Indian Version: This NEW YEAR...Be the BEST yet! HAPPY NEW YEARS GUYS! New Year - a fresh start, isn't it? I still remember same day of last year. I was standing directionless. I didn't know where life was taking me, I was just flowing in the flow. I had no new resolutions to make. In fact I don't even remember to make one! It was truly terrible start of the year. But today, this New Year I'm totally different. I have moved from hopeless to lots of hope. I have found my new direction and already on my way on it! This year I have tons of resolution to make (making up with last year ;) No seriously, I have to make tons of small changes in myself. Not that I'm not happy with myself right now, but need some small improvements to see myself as I always wanted to see. These resolutions will polish my old (some hidden) qualities and bring more brightness in my life. Using the new age method of goal setting I have made my goals and started with a bang. I'll soon let you inside my new planner to show my New Year resolutions and plans. Meanwhile why don't you comment below to share your resolution of 2016. I'll love hear from you. You can even share them on my Facebook page, Pinterest or Google+ page. 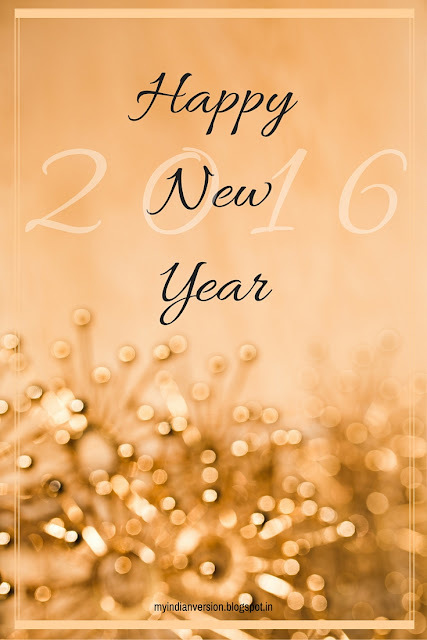 And if you are shy like me send me an email sharing your 2016 resolutions. Follow me on Bloglovin to get updates about my 2016 planner insights. Once again Happy New Year! This will be BEST YEAR YET for all of us!